You are responsible for maintaining the confidentiality of your account and password and for restricting access to your computer to prevent unauthorized access to your account. You agree to accept responsibility for all activities that occur under your account or password. You should take all necessary steps to ensure that the password is kept confidential and secure and should inform us immediately if you have any reason to believe that your password has become known to anyone else, or if the password is being, or is likely to be, used in an unauthorized manner. The Website only sells products to individuals who can purchase with Alipay or WeChat Pay. If you are under eighteen (18), you may use the Website only with the express permission and supervision of a parent or guardian. SPEEDO reserves the right to refuse access to the Website, terminate accounts, remove or edit content, or cancel orders at its discretion. If we cancel an order, it will be without charge to you. When you place an order to purchase a product from the Website, we will send you an email confirming receipt of your order and containing the details of your order. Your order represents an offer to us to purchase a product which is accepted by us when we send an email to you confirming that we have accepted the order (the ‘Order Confirmation Email’). Such acceptance will be complete at the time we send the Order Confirmation Email to you. You are seeking to enter into a contract with SPEEDO when you place an order. This contract is legally binding when you have placed an order, and your order has been accepted by us. SPEEDO will retain the title in the products until full payment has been made by you and has been received by SPEEDO. If you place a pre-order for a product, your order will be confirmed as set out above and payment will be taken. Products which are ordered along with pre-ordered products: If you order available products with pre-ordered product, the entire order will be held until fully available and shipped together. There was a pricing error on the Website. In such circumstances, we will contact you to let you know and may suggest alternative products that you may wish instead. If you do not wish to accept our suggested alternatives, we will cancel your order in relation to the products that cannot be supplied and refund you any money that you may have paid to us in respect of those products. In the event of a typographical error or technological error causing a mistake in prices published on the Website, we reserve the right to correct the error and to charge you the correct price. Before we do so, we will notify you of the mistake and will offer you the opportunity of a full refund. SPEEDO reserves the right to hold any orders prior to shipping for security review. The SPEEDO China Store only delivers within mainland China. In the event that an order is placed for a delivery to a location where we do not deliver to, the order will be cancelled and a refund processed. By confirming your order, including by taking the positive step of ticking the relevant box on our Website, you will be indicating that you have read, understood and agree to these e-commerce terms and conditions and that you explicitly consent to your personal information being used by us, its third party service providers and Fraud Prevention Agencies (as further described below) for the following purposes. You should not confirm your order or tick the relevant box on our website unless you consent to this use of your personal information. If you have any questions at all about this, please contact us at info@speedo.com.cn before you proceed with your purchase. Your personal information including your full name and address, your bank account and card payment details and your sensitive personal data will be used for fraud prevention, fraud screening and age and identity verification purposes. This personal information may be disclosed to and used by fraud prevention agencies (“FPAs”) for all such purposes and those agencies may keep a record of it where permitted by the Chineselaws and regulations on data protection (as amended and/or replaced from time to time).This personal information will also be disclosed to third parties providing fraud prevention, fraud screening and age and/or identity verification services us. records at fraud prevention agencies (FPAs). The checks described above may include assessing and verifying identities to prevent and detect fraud. The information we obtain from third parties providing services to us and FPAs. We will endeavour to deliver all products you have ordered within thirty (30) days from accepting your order. Please note that, in certain circumstances e.g. pre-orders, delivery may take longer than this. All products purchased from the Website are made pursuant to a courier contract. This means that the risk of loss for such products will pass to you when we deliver your product(s) to the address you gave us or you (or, in limited circumstances, a carrier organized by you) collects the product(s) from us. You will be responsible for the product(s) once they are in your physical possession or once they have been delivered in accordance with the delivery instructions. You can only return to SPEEDO products which have been purchased directly through this Website. If you purchased your SPEEDO products at a retail store or from another websites the products must be returned to the original store or site which they were purchased from. If for any reason you are not happy with your SPEEDO products, please follow our Returns Procedure, so that we can assist you in the exchange or refund of your order. SPEEDO reserves the right to reject the return of products which are not returned in accordance with our Returns Procedure and we may request that you pay for the shipping of such goods back to you. Our Returns Procedure does not affect your statutory rights. You may return new, unworn or unused products which you wish to exchange or return within thirty (30) days from the date on which the goods were shipped to you. Where you wish to exchange a product, please note that you will only be able to exchange with a product of the same value as the original item you wish to exchange. If you are returning goods for exchange or return, there will be additional delivery charge. For further details, please check our Return and Exchange Policy. You will not be liable for the delivery costs incurred by us in sending you any products as exchanges. Please note, you will not be liable for the costs of returning any substitute goods i.e. where you have been supplied with substitute goods because the original goods became unavailable when ordered or pre-ordered – see Pre-orders and Substitutes above. With your purchase of SPEEDO products, you will receive a Delivery Note and Returns Form. To return items to us, whether for exchange or return, simply fill out your Returns Form as instructed, include the Returns Form in the package and attach the label (including your Delivery Note number) to the outside of the package then post it back to us. If you do not have your Delivery Note or Returns Form, our Returns Team will be happy to send you electronic copies for you to print off at home. You can contact us by telephone on 4000-121-718. Our lines are open Monday to Friday, 9am to 6pmChina time. Or contact our online chat services to get help. Please do not return items to our head office address Shanghai all returns are processed at our warehouse in the Wujiang, Jiangsu Provincy（江苏省吴江市）. If you return items to our head office address, your return may be severely delayed. We will refund all monies received from you (including the outbound delivery cost) within seven(7) days of receiving the product(s) from you. Please note that if you have opted to deliver the product(s) back to us by more expensive means that the standard delivery option offered, you will not be refunded for the full outbound delivery cost. We will only refund you the cost of the standard delivery option. Please note that the return postage refund will be sent by the original payment method. Please allow up to fourteen (14) days for your refund to be processed. We welcome any comments about our service, so that we can improve what we are doing. Our aim is to deal with any problems quickly and fairly. 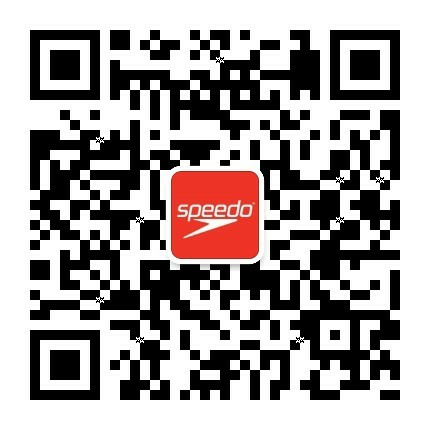 If you have reason to complain about our service, please e-mail our Customer Services Team at info@speedo.com.cn stating clearly that you are making a complaint. Alternatively, call us on the number stated on the Website and say that you wish to make a complaint. Our aim is to respond to your complaint within seven (7) working days, either resolving the complaint, or with a timescale for resolution. All prices are quoted in RMB and are inclusive of VAT unless otherwise specified. All item prices are exclusive of delivery charges which will be notified to you at the time of placing your order. We list availability information for products sold by us on the Website, including on each product information page. Beyond what we say on that page or otherwise on the Website, we cannot be more specific about availability. Please note that shipping dates are estimates only. Unless otherwise stated, dispatch dates are not guaranteed and should not be relied upon. As we process your order, we will inform you by email if any products you order are subsequently found to be unavailable. We are able to accept payment via Alipay or Wechat Pay although we reserve the right to vary these from time to time without notice. You are responsible for payment of all orders placed using your user name and password. This Website is provided by SPEEDO on an “as is” and “as available” basis. SPEEDO makes no representations or warranties of any kind, express or implied, as to the operation of this Website or the information, content, materials, or products included on this Website. It is expressly agreed by you that your use of this Website is at your sole risk. SPEEDO disclaims all warranties, express or implied, including, but not limited to, implied warranties of saleability and fitness for purpose to the fullest extent permissible by applicable law. SPEEDO does not warrant that this Website, its servers, or e-mail by us are free of viruses or other harmful components. SPEEDO will not be liable for any damages of any kind arising from the use of this Website, including, but not limited to direct, indirect, incidental, punitive, and consequential damages. Your use of the Website, any purchase by you on the Website of any products and these conditions will be governed by and construed in accordance with the laws of the PRC. Any dispute relating in any way to your visit to the Website or to products you purchase through the Website should be submitted to the courts of the PRC, except that, to the extent you have in any manner violated or threatened to violate SPEEDO’s intellectual property rights, SPEEDO may seek injunctive or other appropriate relief in any court in any country in the world, and you consent to exclusive jurisdiction of such courts. SPEEDO will not be held responsible for any delay or failure to comply with our obligations under these conditions if the delay or failure arises from any cause which is beyond our reasonable control. This condition does not affect your statutory rights. SPEEDO® and the are registered trade marks of and used under licence from Speedo Holdings B.V.
www.speedo.com.cn is a registered domain name of Pentland Trading (Shanghai) Limited.